Northwest Territories is currently using one area code. Northwest Territories is not utilizing any area code overlay plans. Area code 867 was formed in 1997 from a split of area code 403 and 819. Area code 403 originally covered Alberta, Yukon and parts of the Northwest Territories. Area code 819 covered Quebec. 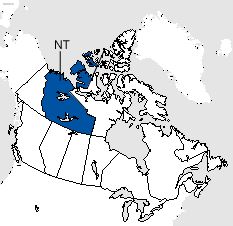 In 1997 area code 403 was split, along with a portion of area code 819, to form area code 867 which covers Yukon, Northwest Territories and Nunavut. Area code 867 was put into service. Area code 867 was created from a split of area codes 403 and 819.